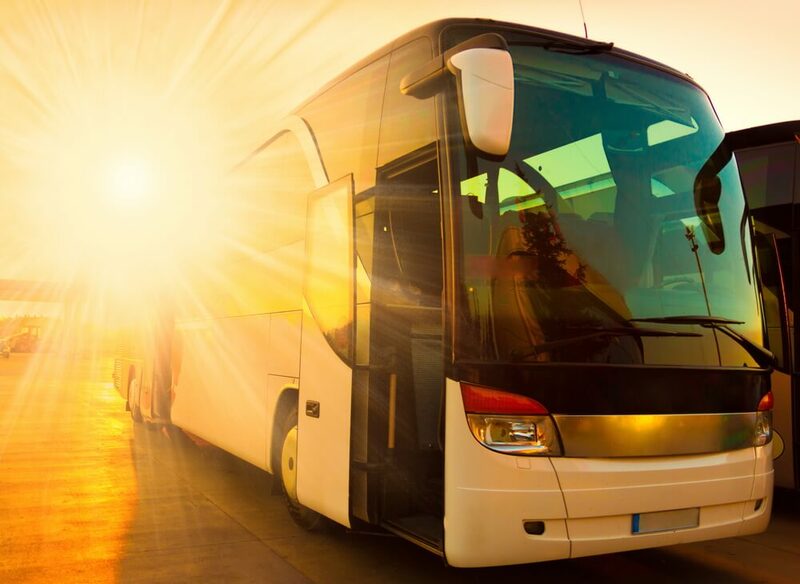 No matter the size of your school or the type of trip you’re planning, Boston Charter Bus Company will pair you with the perfect motorcoach. We work with a variety of schools including state universities, Ivy League schools, elementary schools, high schools, and more. Call us at 617-314-7577 to choose from 18-passenger minibuses, 56-passenger charter buses, and everything in between. The safety of your students, faculty, and chaperones is our top concern when you partner with us. Your professional and experienced driver will handle all navigation and parking during your trip so you can relax and enjoy the ride. Students of any age will enjoy watching movies on their bus’s TV monitors, and faculty will be thankful for cushioned seats and armrests. On-board restrooms reduce the number of bathroom breaks your group will need to make so you can stay on schedule. Thanks to ample storage options on charter buses, little league and collegiate teams alike can store their luggage and equipment securely. Stow larger items like training equipment and overnight bags below the bus in its storage bays. Personal belongings fit snugly in overhead compartments above the seats to keep the aisle free of clutter. Boston’s universities offer students plenty of opportunities to travel including Greek life events, demonstrations and rallies, seminars, conferences, and more. We'll help your organization or other school group determine the best bus for your budget and travel needs. Let us help you plan efficient bus transportation to and from your event, whether it’s local or across state lines. Because we have access to hundreds of buses in Boston and the surrounding areas, we can accommodate any group of any size with a bus in as little as two hours. Call us today at 617-314-7577 to speak with one of our reservation specialists and to receive your free, no-obligation quote!